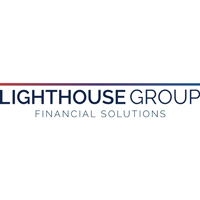 Lighthouse Group plc (LON:LGT), the national financial adviser of choice for Middle Britain, has today announced that it has agreed the renewal of its contract with the Association of School and College Leaders, as the preferred provider of expert financial advice to its members, encompassing retirement planning, mortgages and investments, for a further three years from the 1st September 2018. The Association of School and College Leaders represents more than 19,000 education professionals, including Executive Heads, Secondary Heads, Deputy Heads, Assistant Heads, Bursars and Business Managers, College Principals, Vice-Principals and others with whole school / college responsibility. This contract renewal underlines Lighthouse’s already impressive list of affinity partnerships, which includes major employee organisations such as UNISON, BA Clubs, Royal College of Nursing and Prospect, and highlights further Lighthouse’s capacity to deliver financial planning solutions to a diverse and substantial audience.